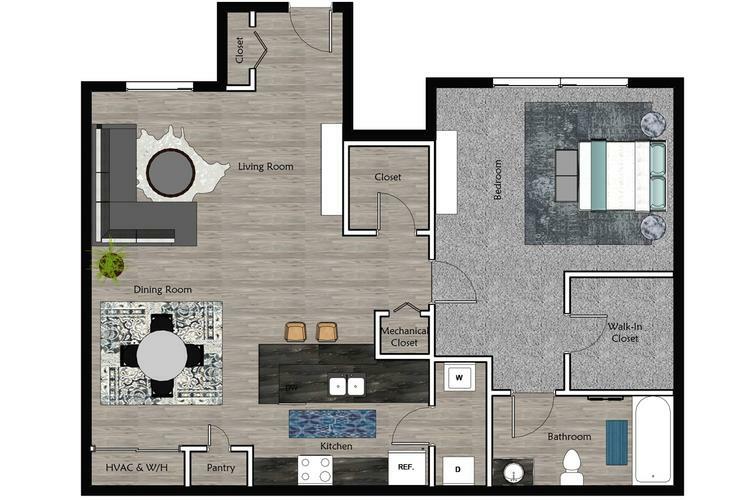 This quaint 1 bedroom floor plan is our smallest floor plans with an abundance of storage space, including several closets as well as a walk-in closet. Enjoy the in-home washer and dryer for your convenience in your new home. With an open-floor concept, this floor plan is perfect for entertaining.